Doug Godard is a Senior Vice President at CBRE. Doug has an extensive background in data centers and build-to-suit projects. He also provides strategic facility planning, merger & acquisition, and integration services to executives of corporations. Doug believes in setting a strong foundation for every assignment based on the client’s business plan. For over 30 years, Doug has represented clients on real estate assignments in Columbus and in over 50 cities across the country. He has also negotiated over $100 million in business incentives for his clients. 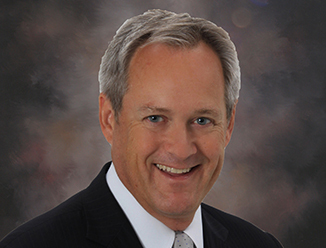 Doug started his real estate career in 1983 with CBRE. Within his first ten-year tenure at CBRE, Doug progressed to be the number one broker in Ohio and was consistently ranked as one of the top three percent of all CBRE brokers nationally. Doug left CBRE in 1993 to form his own firm specializing in the telecommunications industry, following the deregulation of long distance in the United States. Doug represented LCI International nationwide in all aspects of real estate including network and data center facilities, sales offices, the development of a new headquarters and M&A/integration consulting. Doug worked with the executive team in growing the company from 8 to over 5,000 employees before LCI was acquired by Qwest. In 2001, Doug joined a regional brokerage firm to lead the corporate services group. The brokerage firm was then acquired by CBRE in 2005. Doug is consistently ranked as one of the top commercial real estate professionals at CBRE Columbus.